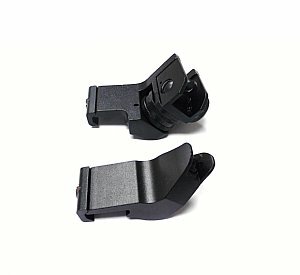 Rear flip up sight features dual aiming apertures as well as windage adjustment. 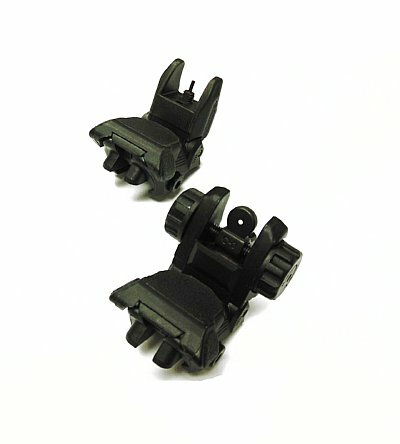 Sight mounts to Picatinny or Weaver rails and flat tops. High quality, great price another David's Collectibles problem solver. 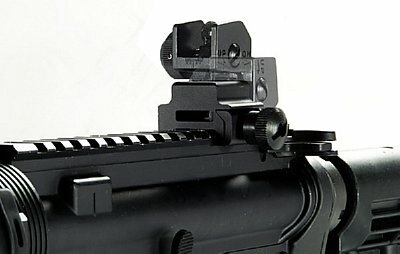 Rail mounted standard height front sight flips up when needed, down when not. 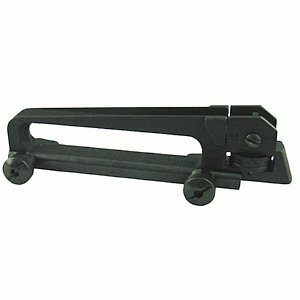 Sight easily mounts to your rail top or rail mount gas block. 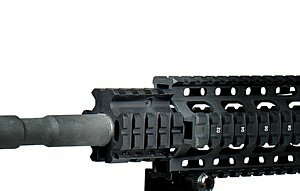 Quality construction and adjustible front sight post are just a few of the features this baby has. 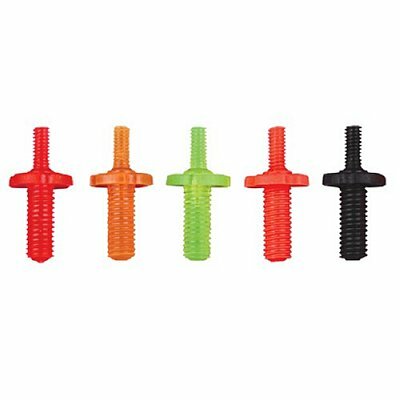 Large thumb screw for tooless installation and removal and black finish. Another David's Collectibles feature items. 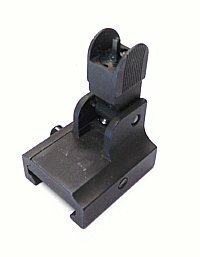 Works great with our rear sight MNT-ARMNT951. 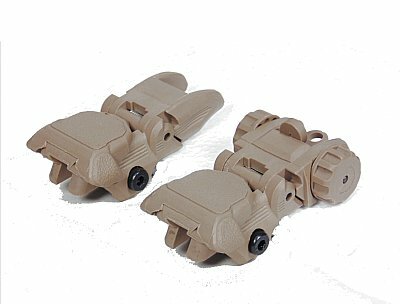 The MNT-ARFS front sight body and stem are machined from T6 aircraft grade aluminum and type III hard anodized. 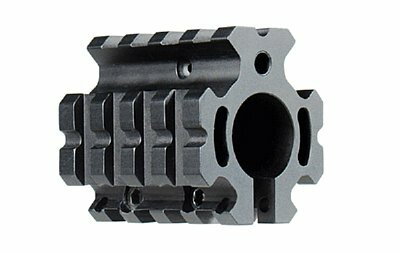 Steel parts are machined, then black phosphated per mil-spec. 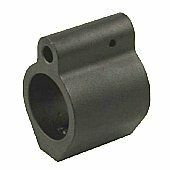 Precision machined to fit dovetailed gas blocks meeting MIL-STD 1913 Picatinny rail specifications. 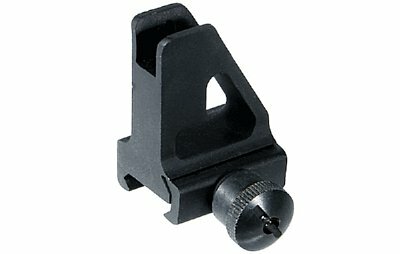 The sight is mounted to the gas block via a locking bar and secured with a cross slotted, Allen head screw. 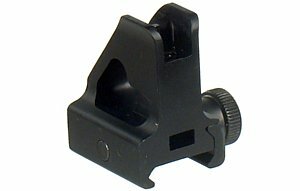 The sight is adjustable for elevation, (a quarter turn) moving the point of impact 1.25â€� MOA (minute of angle) at 100 yards. 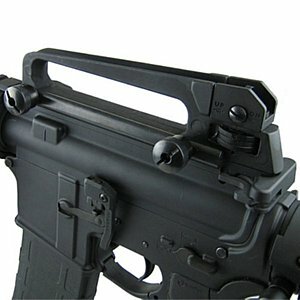 The front sight features straight protective ears. 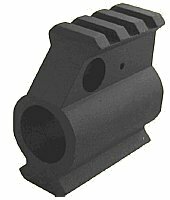 The sightâ€™s stem folds up and towards the shooter to deploy. When in the up position the sight is locked in place via a spring loaded plunger. 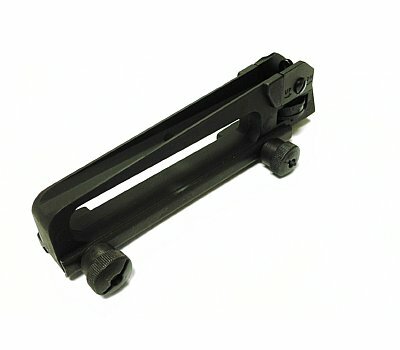 To fold the sight to the down position, depress the plunger and fold the sight stem forward. No permanent modification required for installation. All hardware included. The MNT-ARFS sight may be paired with model MNT-ARRS rear sight mounted to AR-15 / M16 flat top A3 upper receiver rifles and carbines. 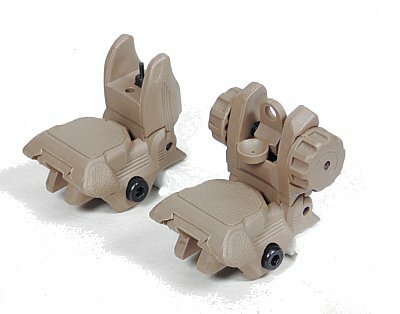 Made in U.S.A. Another TBT Tactical best of item! Smaller footprint means you have less in your way on the rail. 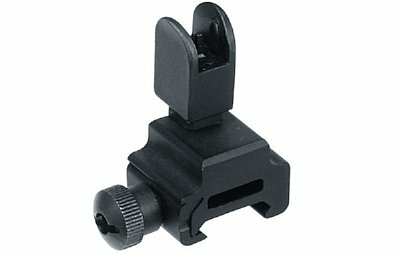 Sights are all metal and push button lock in the up and down position. Sights are adjustible at the front post and windage and aperture adjustment on rear. Another David's Collectibles item. 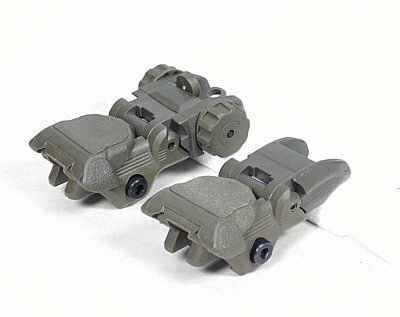 Polymer matched sight set flips up at the pull of the back tab, folds down when not in use. 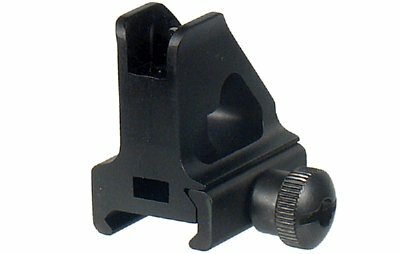 Sight is adjustible and made to stand up to hard use while being light weight. Another tickbitesupply best seller. Another great problem solving product. 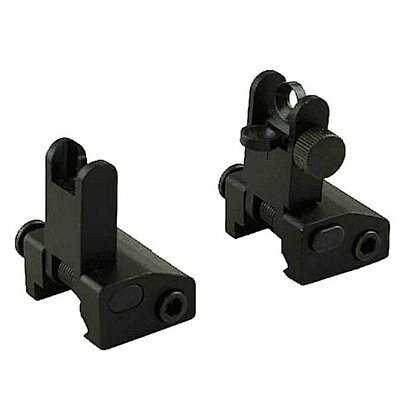 Our 45 degree sight set allows you to mount large dot and optic scopes and still have the advantage of iron sights. Simply twist the weapon slightly and you have iron sights. 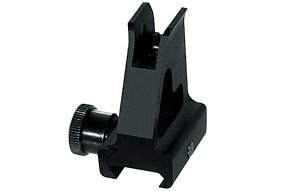 Sights are all metal and easily mount on your flat top before and after dot sights or under scopes. 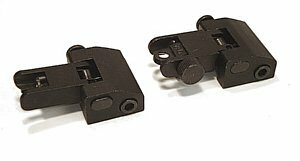 Detachable front sight is standard height for installation on a regular height gas block rail. 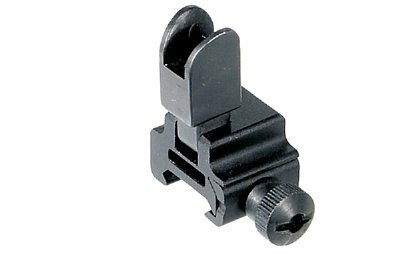 Unit is all metal and has an adjustable front sight post. Another David's Collectibles great item. 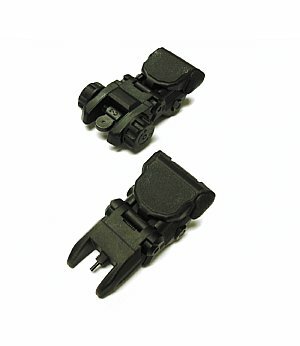 Great removable front sight assembly, works great on handguard rail. 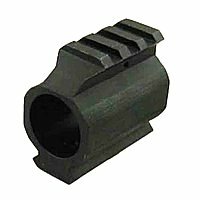 All metal construction and adjustible front sight post gives you everything you will need. Another David's Collectible problem solving item. A new much requested item. 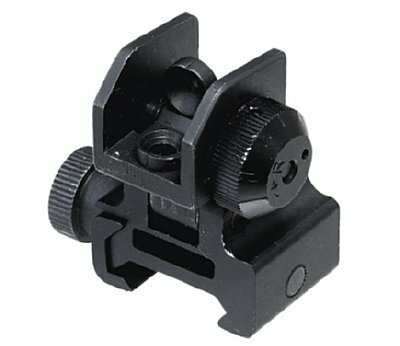 From Tickbite Supply our new AR15/M16 Flip Up front sight. 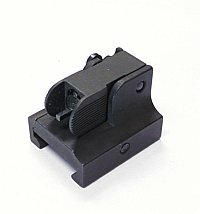 Quick Detachable Front Sight with Adjustable A2 Square Post Assembly to Fit All Picatinny/Weaver-style Rails! Equipped with Locking RetentionThumb Nut. Heavy duty and Robust Flip-up Posi-lock Design to Guarantee Zero in the Most Extreme Combat Conditions. Precision Elevation Adjustments to Enhance Shooting Accuracy! 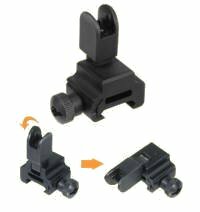 Replacement front sight with high visible color allows you to get on your target quickly. No more guessing where the front sight is on a cloudy day, this really jumps out at you. Another David's Collectibles must have item. 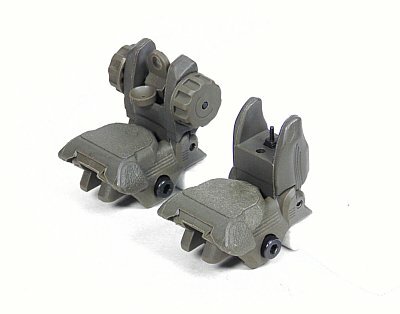 M4 A2 type sight housings. 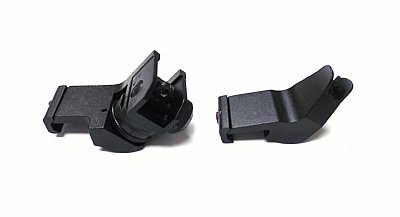 some aftermarket flip up sights.